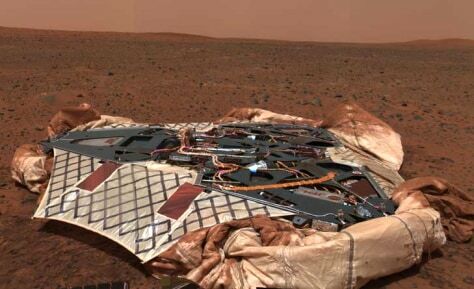 Next story in Mars Are the rovers cut out to detect alien life? NASA on Wednesday released this image mosaic showing the rover's landing site at Gusev Crater on Mars. The ridge at left will likely be Spirit's final destination.